We are in the home stretch of this series and have explored some great games based on some interesting technology. When I started conceptualizing these articles I had no idea how well supported Linux is becoming in the indie game development world. Partly, this may be due to the success of the Humble Indie Bundle who draw nearly 25% of their revenue from the Linux crowd. Whatever the reason, there has been an increasingly large movement from game developers to provide a native Linux version of their product. Some of these games, such as today’s candidate, show some great promise but may struggle because the developers are relatively unknown. Thus, I thought we might spend some time to get to know the folks over at Photon Productions. Haoran Li is the project manager, gameplay designer and lead programmer: He is pursuing a degree in human-computer interaction design, paying particular attention to advanced artificial intelligence for games. I am told that he has been researching and testing the possible ways to achieve a dynamic influence-based character behavior system for role-playing games, which he plans to highlight in Forsaken Fortress. Linlin Si is the lead graphic designer, texture artist, and concept artist. He is a professional 3D generalist with knowledge of most aspects of 3D graphic design. He has three years of professional work experience in animation studios as a conceptual artist and 3D consultant. Linlin has a solid art foundation, unique sense of color, large range of designing capability, and experience in various CG applications. Mark Spina co-founded Photon Productions and is one of their core programmers. He majored in game design specializing in game engine technologies, OpenGL and shader scripting. His rich experience in game engines has helped Photon Productions to fully utilize the power of recent technology and will ensure the completion of forsaken fortress. There are a handful of freelancers who are involved in Forsaken Fortress as well. For those interested, this information is available on their Kickstarter project page. Now without further ado, on with the interview. Steve: Can you talk a little about how you came up with the concepts behind Forsaken Fortress? Haoran: Early in June, 2012 we had an idea of making a small game that combines different genres. 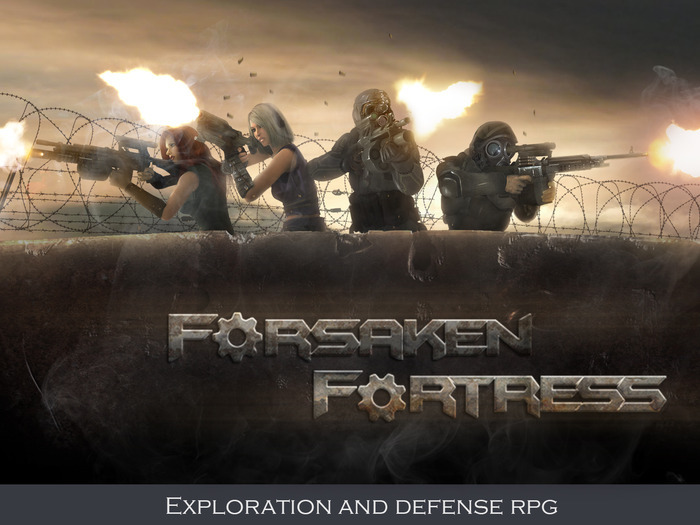 The original idea for Forsaken Fortress was a hybrid of tower defense and resource collection, in which you defend your base at night and collect resources during the day. We thought it is necessary to give it a nice setting and story. There are a lot of games about defending the Earth from the aliens so we thought it would be cool to go the opposite extreme and so we came up with the idea of survivors building a ship with an intention to leave the devastated Earth. [After thinking about it more Photon Productions decided] that it would better to include more RPG elements such as character development and leveling system, as well as simulation features such as base design and management, character personality, interaction or crafting, researching mechanics, gathering food, etc. Steve: How long had you been working on Forsaken Fortress prior to the Kickstarter project? Haoran: We have been working on Forsaken Fortress for 6 months since we had the original idea. Steve: What experiences did you have trying to fund Forsaken Fortress? Why use Kickstarter now? Haoran: We don’t have much of experience in terms of marketing or getting exposure. But we have experience in game design, 2D/3D graphics, storytelling, coding and interaction design. We are a small studio who is dedicated to make unique video games and we enjoy working with our supporters on designing, story development, mechanics [etc]. That is why we chose Kickstarter as it is the right platform for creative projects and for us to interact with gamers to improve this project. We launched at holiday season because people are supposed to have a better mood! Steve: What kind of feedback have you gotten from supporters so far? Haoran: We received a lot of feedback regarding game mechanics. For example, people think this game should really emphasize the simulation aspect such as base designing, character interaction, managing emotion, or improving their life quality to keep them happy, since this is what really made this game special. We have received feedback on settings, story and character designing. For example, many people suggest that our female characters are too pretty and clean for a post-apocalyptic world. Although the overall concept of abandoning the Earth is appealing, there isn’t enough reason for why they are so intent to leave, while they can still get resources to sustain the basic living conditions. Haoran: First of all, it influenced the emphasis of this game. 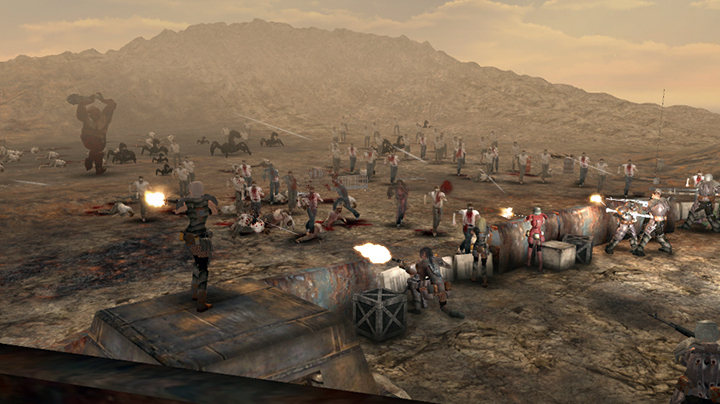 Before, we focused mainly on building defenses, gathering resources and brutal fast-paced combat. And now we emphasize more on the simulation features such as designing a base to suit your squad’s need, unique and complex personality of characters, balancing character’s daily life. And the survival mechanics such as finding food, water, fuel for electricity generation or scavenging materials to build upgrades. Steve: Can you talk a little about the game mechanics? For the RPG elements, how do players control the evolution of their party members? 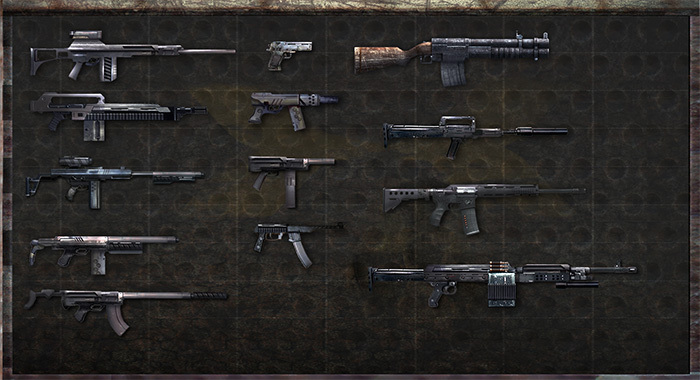 Haoran: The main game mechanics are based in the simulation genre. You build your base, place equipment and furniture, distribute resources, assign jobs to survivors and make sure everyone is happy. You also need to acquire what can’t be produced in the base from the outside world such as variety of food. Other mechanics such as base defense mechanics in which you and your team have to use the available weapons, traps and defensive structures to hold off waves of enemies. The game also has a main mission chain which you will need to follow in order to beat the game. We do want to give the game a lot of freedom, but we also think a good story is just so important for people to have any emotional link to the game. Unlike many other RPGs, characters in Forsaken Fortress are not controlled by traditional leveling system. They are dynamically influenced by professional traits, personality, physical/mental condition, etc. For example, a sniper with an impatient personality will have a significant decrease in combat efficiency. And all these factors can be adjusted dynamically in the game. For example, if player assigns a slow cooking job to this impatient sniper, he may eventually get rid of this negative personality. Steve: How does the influence system work? Haoran: Everything in the forsaken world is controlled by a dynamic influence system. For example, today you brought a boar to the team as diner, Jim loved boar and he was happy, Liz felt happy as long as Jim is happy, Liz felt happy and she produced more ammo, and you used the extra ammo to hunt even more boars, and then there are no more boars and Jim starves to death… this dynamic influence system makes the game more unpredictable and different every time you replay. Steve: Can you talk about the different modes, such as going on missions vs defending the base? Haoran: It is all about the balance. Building and defending the base is to ensure you have a cozy place to go when you need some rest and going out on missions or collecting resources is so that you will get the required material to sustain your base (go find a boar so you can add a new ingredient to the dinner, but don’t forget some of the survivors are vegetarian). We do not force the way you play: you can choose to stay in the base as long as you want but you will realize that it is not going to work. Steve: What types of structures and defenses will be available in the game? Steve: How large will your party be in the game? Can you find additional team members throughout the game? Haoran: As of now, we expect that a party may have up to 15 squad members at one time. You can find additional team members in many different locations and through many different events. 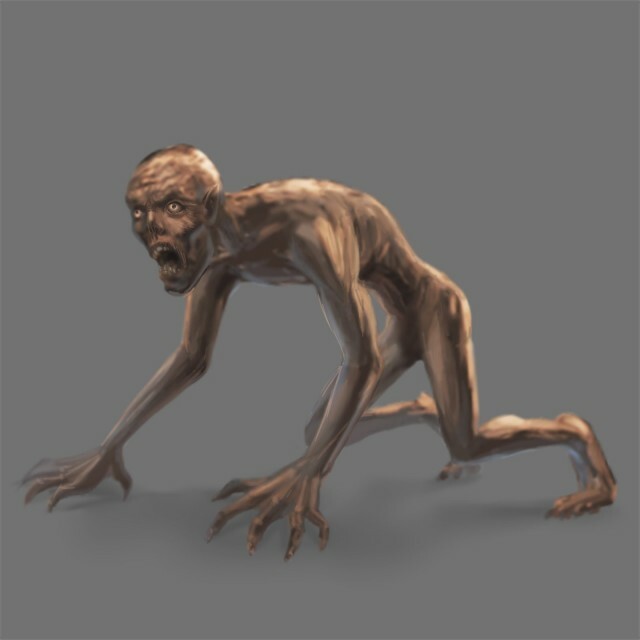 Steve: While exploring the world of Forsaken Fortress, will players happen upon other groups of people? Haoran: Factions are dynamically evolving in the forsaken world. Just like the player’s party, other groups of people also have a place to stay and they move around for supplies. You may or may not encounter them in the wasteland. And their attitude towards you also changes dynamically based on the encounter. For example, if you and another party are going after the same resources, they might turn hostile. Steve: How does one “beat” the game? Haoran: The mainstream way to end this game is to finish construction of a spaceship which is located in the basement of the base. To do this, you need to find all the required components for the ship out in the wilderness as well as dealing with random events such as machinery failure. As long as the ship is all set, they fly away and end the game. There are potentially other ways to end this game which we are still discussing with supporters. For example: End the game when they found an abandoned underground city with sufficient supplies and they locked them inside. Or they were “picked up” by friendly Alien. Steve: Will there be multiplayer? Haoran: It is single player for now, considering the amount of work and the budget we have so far. But we all agree that multiplayer would be attractive. We might set it as a stretch goal. Steve: Can you talk a little about Unity, and the technologies you will be implementing to make this game happen? Haoran: Unity is an fast emerging technology. It suits a small studio like us because it is easy to use and learn and it has a large community. It has the ability to create AAA visual fidelity [while providing] reliable performance [which] allows extensive optimization such as occlusion culling. And also for the large community of Linux users, Unity allows us to make our game available for them conveniently. Technologies involved in this game include, pathfinding for dynamic and static obstacle avoidance, draw call minimizing for performance optimization, dynamic influencing system for AI and world evolution. Finally, lightmapping, faked shadows and faked ambient occlusion is for better graphic with minimum impact on performance. One technology of note is the method we use to build character AI. Our character behavior is based on dynamic influence system. They have needs, personality traits and many other things which determine their behavior. It adds more complexity to coding in order to achieve realism. The method we use is what we called “Influence scoring”, in which every influence is scored and the more score it has, the more likely the character’s behavior will be affected by this influence. Take the simplest example, Jim has a need to sleep and it scored 70, but at the same time he is assigned a repairing job and since Jim is a workaholic, this scored 80. So it is more likely that Jim will go to do the repair than going to bed. Steve: How is the game being distributed? Haoran: We will release the game through all possible digital portals such as Steam, GOG, Desura, etc, as well as providing direct download through our website. We also offer boxed version of game through pre-order [via Paypal payments]. Steve: Do you have any concerns with going DRM free? Haoran: Yes, piracy is a big concern. However, we have no budget and limited technology to enable DRM. Steve: Will you go ahead wit h the game if it is not successfully funded? Haoran: We have been working on this game for quite sometime and we have put a lot of effort on the concept, game mechanics, coding and other stuff. We will make this game no matter what since we had belief in it. And of course the reality is, if we are not funded, the production quality and duration will be influenced. But we will try our best. Haoran: We want people to know that this game is not made only by the Photon Productions, it is made by all the contributors. We welcome any comments, ideas, suggestions and we really enjoy working with gamers on this project. We are very conscious about keeping a video game meaningful. A successful video game should be something that people emotionally get attached to. And that is why we incorporate simulation elements into Forsaken Fortress. Soldier possibly get angry because the lack of supplies, people get devastated for losing the loved ones, hate, affection and jealousy, all these reflect the real situation in a post-apocalyptic world and this is what really engages the player. And we believe our team member’s knowledge in psychology and humanity, our passion and our qualifications in gameplay designing, art and coding will make it possible to implement such complex features in the game. As an indie studio, our best chance of survival is to make something different than others and something gamers will really enjoy. The only way to achieve this is to collaborate with gamers. And as a small team we have more freedom and pleasure to interact with people and to work on deeper game mechanics and meanings instead of making games just for money. We would love to invite people to participate from all directions in the making of this game. 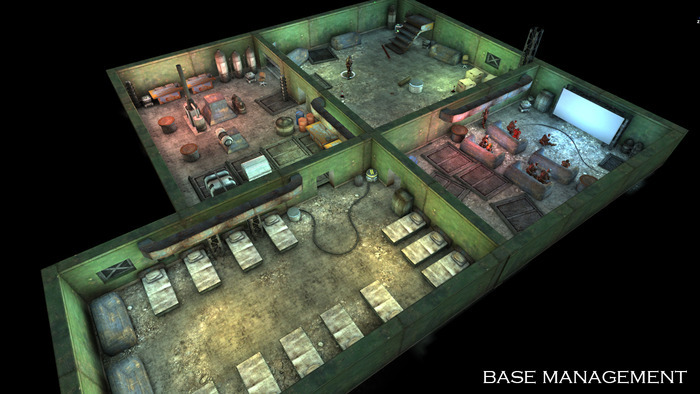 Forsaken Fortress emphasizes simulation features such as base building, character personality/interaction, and resource collection. It is an interesting game hybrid which many will be interested in trying out. The official website is constantly being updated by the development team so check it up for up to date news and information. While there are many other interesting games deserving of public recognition, there is only one more interview in this series. In the last article, I will talk to the guys from Andromeda about their new zany game SpaceVenture, including links to their live art demo so stay tuned! Forsaken Fortress has now hit its funding target. Their first stretch goal is $110,000. They are proposing an "endless" mode where its basically just like a big sandbox.